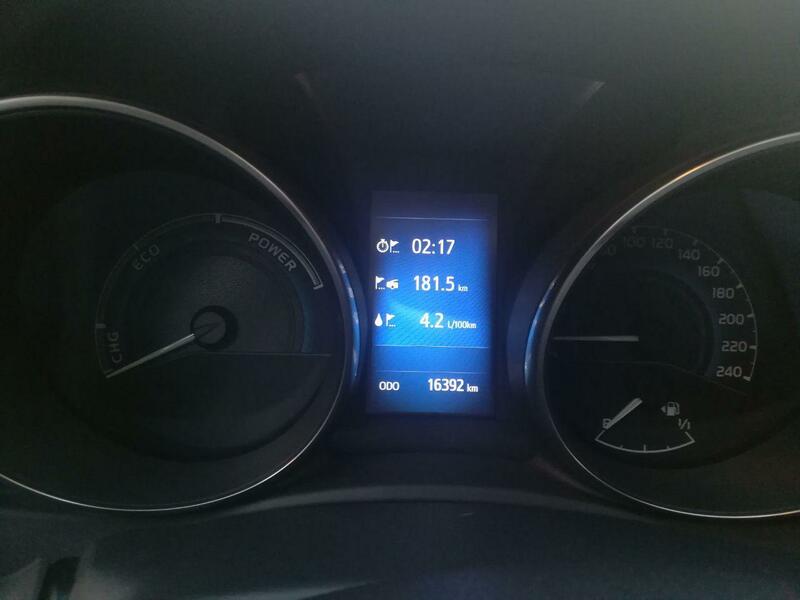 I have a 2017 Auris Hybrid TS (estate) and somethings bugging me about the gas mileage that the on board computer shows me. The other day, made a trip. before starting, went to a gas station and filled it up completely myself, to the top of the tank 😁 just to make sure it was full. Made 181 km, and upon arriving my destiny, went again to a gas pump and filled it up once again myself. Just like i did the same way before departing. 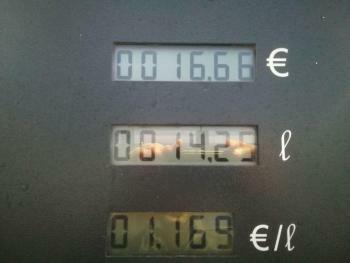 To fill it up, 14,25 liters went in, so that's the consumption for the trip, which gives a consumption of 7,87 liters/ 100 km. 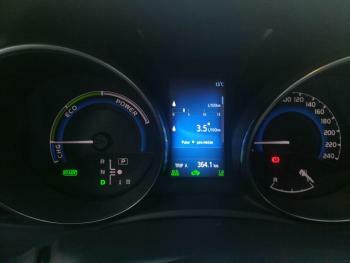 The thing is, on board computer says that the consumption was 6,2 liters/ 100 km as you can see the photo below. So, what i can tell with this is that the computer is lying. but that is a lot. And I'm looking for some way to adjust this on car settings or something. I know that in older models of Auris there is a way to adjust the average consumption percentage so that it can give you numbers more close to real life. But I can't seem to find nothing to adjust this for my car. It can be the fact that there are various auris versions, hatchbacks, SW, 15", 16" and 17" wheel size, ... the bigger the wheel size the more weight you have, and I can guess that there is not a exact configuration for all these parameters on all Auris. So, please can anyone shed some light on this matter ? Yes it could be. But the tank was a bit less than half full before the trip. Also, I took the photo after the trip, 181 km after, and when I stopped at a gas station arriving at destination. So I think this is not the case. Are you sure it was full to the brim when you started, and the average mpg was reset? You can always put a bit more on top, after the gun stops pumping. I would repeat the test at least 2 more times, before i would take this as a fault. You stated that you'd filled up by 14.25 litres. He calculated his mpg from brim to brim in between trips, and compared to average mpg shown by car. Do you maybe mean that putting under 15 liters shows false readings in regards to actual fuel in the tank, or maybe the range left? Puzzles me a bit how it would affect the average mpg. Yes, I'm completely sure 100% it was full to the brim, as i did it myself before going on trip and immediately upon arriving. Full to the brim both times right to the top where you can see fuel almost popping out of the "cork" if you know what i mean. Before the trip the tank was a bit less than a half as i stated above. One thing i didn't do was to reset the average mpg, maybe i should have done it. but it doesn't makes sense. 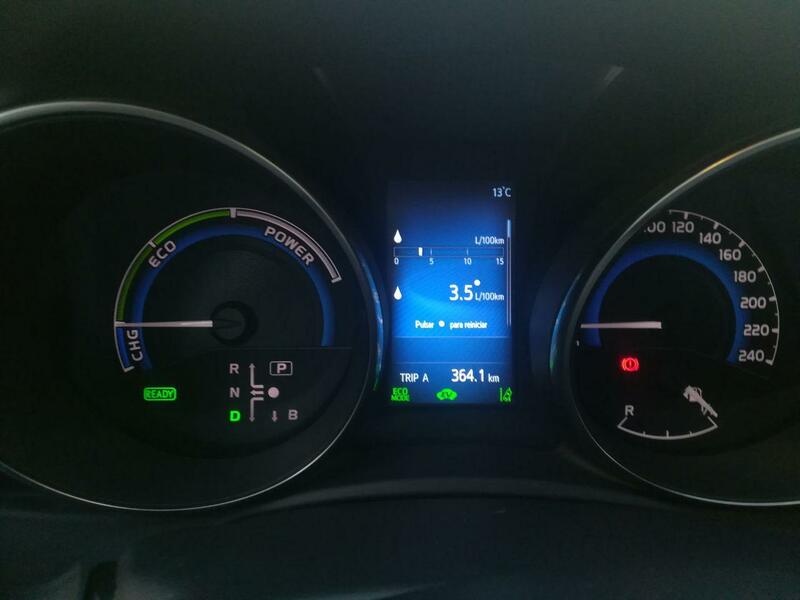 I will repeat however, but still looking for some way to adjust the percentage on fuel consumption for the reasons i stated on my 1st. post. 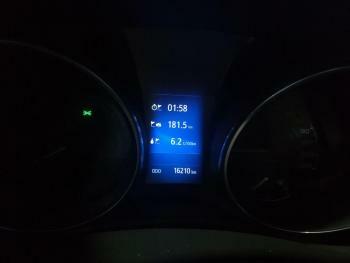 that was after arriving at destination, meaning that 14,25 liters was the fuel consumption of the trip, yes. Yes I made it that way so I could know exactly how much petrol the car would "drink" doing all those km. The thing is that there is a gas station near the house where i arrived (end of trip). So stopped the car at the gas pump, took the photo I posted above, got out of the car, and refueled once again to know how much gas so I could do the calculation. When you say "The liters per 100km figure displayed in your car is a rolling average" I think that those 6.2 Liters refers to that trip only. I say that because there is another fuel average on other screen, that might be the overall average, and that one can be reset. Also i haven't made a reset on that one for a long time (I usually don't drive the Auris daily, my wife does). That trip with 6.2 average was on Friday (windy, rainy and cold) and after all that got me thinking. Sunday morning before starting our way back to home on the car, i made a reset on the "overall average". before the reset it marked at least 5.8 liters for at least the last 10.000 km or so. So Sunday there was no rain, almost no wind and better temperature, so I thought that it would had a reflection on the fuel consumption. And it did. Also my speed was 100/110 kph (60/70 mph), slowly going easy. I got home after making the same 181 km and wanted to go to the gas station to fill it up again and check it out how much and all, lol, but wife and kids didn't wanted to lol. 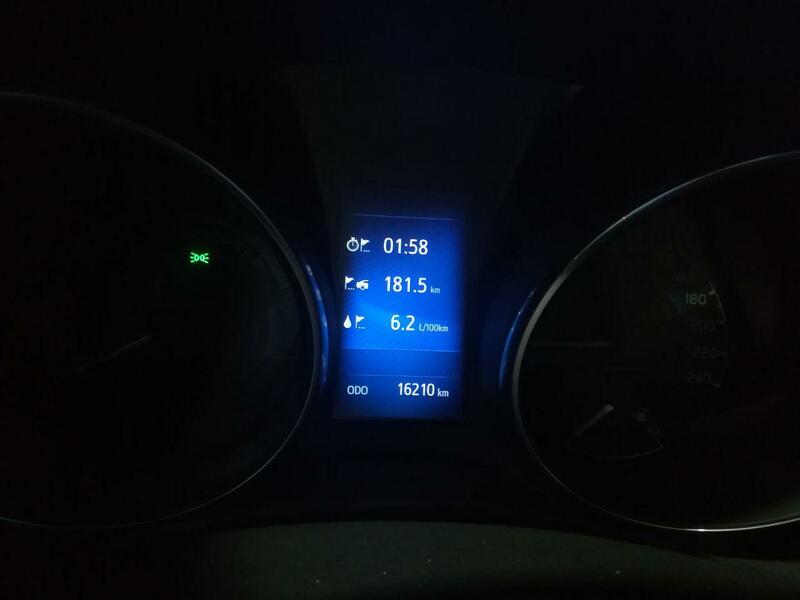 So anyway, here's the consumption that the car supposedly made (check photo) and now that i had reset the overall fuel average before trip back to home on Sunday, here I leave another image that marks 3,5 as average !! And please do check the fuel tank indicator because it seams completely full to the brim, and i promise you that I had topped up the tank before the trip but did not upon arriving. The thing is that when its completely full it goes all the way up the you can read the 1/1 numbers. Now you can see 2 fuel averages, 4,2 is the trip back to home and the other is 3,5. Don't know why but both should be the same since the overall one was reset before jumping on the road. Anyway, still looking for a way to enter this hidden menu thing or something to change the overall percentage. The old 2012 Auris had it. You press setup button while you turn on and off the headlights 3 times, press some more button and there you go. By default it's on 100% but you can increment it by 1% steps. Slightly, yes. Could be. And I tell you that I love my Auris Hybrid, but also I'm ready to assume that there could be some slight error on the calculations the computer does too. 1,67 liters is too much I think. But in that case we'll take in account only one fuel pump, the one i went to after finishing the trip to top it up to the brim. Being so, that's too much error for only one pump and topping the tank with 14,25 liters. What I only want is to adjust the consumption average of on board computer so it can match real life consumption and mathematics.